Orthokeratology is often referred to as ortho-K, and it is sometimes likened to braces for your eyes. It is the process of molding or reshaping the surface of the cornea without surgery, only using a special contact lens. Special rigid, gas-permeable contact lenses are worn overnight, which temporarily reshapes your cornea, so light is correctly refracted to the retina, and you can see clearly the next day. The results of the procedure are painless, but they are not permanent. Once you stop wearing the specific series of contact lenses and graduate to wearing the “retainer” contact lenses, you must keep wearing these overnight or your vision will gradually decline again over a few days. Ortho-K works well for people with lower degrees of myopia (nearsightedness) or low-level astigmatism. Reshaping the eye without surgery is an appealing option for many people who may not like the idea of small blades or lasers reshaping their cornea and lens, even if the healing time is only a day or two. It is also appropriate for some children to slow the progression of myopia. The corneal refractive therapy (CRT) contact lens and process were approved by the U.S. Food and Drug Administration (FDA) in 2002, for treatment of myopia up to 6 diopters and astigmatism up to 1.75 diopters. A second orthokeratology process, the vision shaping treatment, was approved in 2004. While there were reports of adverse events (namely, infections) in the early era of orthokeratology treatment, overnight orthokeratology has been found to be largely safe for people of all ages, from young children to adults. It slows the progression of myopia or temporarily eliminates the issue. Reports suggest that thousands of years ago, Chinese doctors would apply sandbags to the eyes of people who had poor eyesight in an effort to reduce corneal curvature. However, orthokeratology in its modern form was developed first in the 1960s, when eye doctors noticed that their patients with higher refractive issues developed “spectacle blur” after wearing hard contact lenses for some time. They could wear the contact lenses without issue, but when they put their glasses on, the prescription was reportedly too strong. This led to later studies to determine how malleable the cornea could be. The first reverse geometry lens was developed in 1989, but the FDA and medical professionals remained skeptical until several tests showed that the lens could, in fact, temporarily change the shape of the cornea when applied in specific ways, such as overnight. The first daily wear, ortho-K device was developed and submitted to the FDA in 1998, and it was approved in 2002. This approach to treatment is not widely known or applied, in part because insurance does not cover it, the results are not permanent, and hard contact lenses are not in favor with optometrists. About 5 percent of the lens market in 2011 was orthokeratology lenses, which grew to about 19 percent by 2016, likely as the rate of myopia sufferers increased. The cornea is the dome-shaped, clear area over the pupil, which protects the internal workings of the eye. It helps to refract light clearly to the back of the eye, where the retina gathers the light and sends information through the optic nerve to the brain. People who have refractive errors like astigmatism or nearsightedness have corneas and lenses that do not refract light well to the retina, so the images processed by the brain are blurry. For people with nearsightedness, objects that are in the distance will seem blurry, cloudy, or doubled. For people with astigmatism, overall vision tends to be blurry because the eye itself is not spherical. Nonsurgical treatments for myopia and astigmatism are becoming increasingly important around the world. In the United States, the prevalence of nearsightedness has increased from 25 percent of the adult population in 1979, to 41 percent in 2004. By 2016, more recent figures indicate that the percentage of myopia in the U.S. adult population is close to half. In some East Asian countries, the prevalence of myopia has been reported to be as high as 90 percent. The condition is typically diagnosed in school-aged children, but it may occur as early as infancy. Children who develop nearsightedness may benefit from orthokeratology if their visual issue is a fast-progressing type of myopia. In a 2012 study looking at 7- and 8-year-old children, 65 percent of the group wearing spectacles were deemed to have this type of nearsightedness. Of those who were treated with orthokeratology, only 20 percent were found to develop worsened myopia faster than their peers compared to 65 percent in the control group. Part of the reason that orthokeratology slows the progression of myopia in children involves peripheral hyperopia, which is displayed in children with early onset myopia who wear glasses. The defocus on clear vision in the peripheral vision predicts whether a child will develop myopia and appears worse in children who are not treated with orthokeratology. In contrast, children treated with orthokeratology have better peripheral vision. Monovision treatment in one eye. If you are interested in orthokeratology, you will start with an appointment with an ophthalmologist to determine if you are eligible. Many people with myopia or astigmatism are eligible, but it is important to receive a diagnosis from a medical professional first. Your ophthalmologist will measure the surface of your cornea with a corneal topographer, which creates a visual map of the surface of your eye. Once your ophthalmologist has this topographical map of your eye, they can create a customized hard contact lens that will flatten and reshape the surface of your eye as you wear it overnight. Your ophthalmologist will create up to three pairs of contact lenses for you to wear over several days or weeks, which will mold your corneas into a specific shape. After an average of two weeks of treatment, your cornea will be reshaped enough that when you take these retainer contact lenses out in the morning, you will be able to see clearly without other corrective wear. However, you will have to keep wearing the special lenses most nights to retain this corrected visual acuity. Some people experience significant vision improvement in the first few days of treatment, but consistent 20/40 vision or better will not be achieved immediately for most people. You may also feel the hard contact lenses in a way that you do not feel soft contact lenses, which can take some getting used to and may mildly impact your sleep. Since orthokeratology is considered an elective treatment for myopia or astigmatism, it is not likely to be covered by vision insurance. The cost of the lenses themselves ranges from $1,000 to $4,000, depending on how many lenses your ophthalmologist makes for you, cost-of-living factors in your area (large cities tend to be more expensive), and how experienced your ophthalmologist is in this procedure. 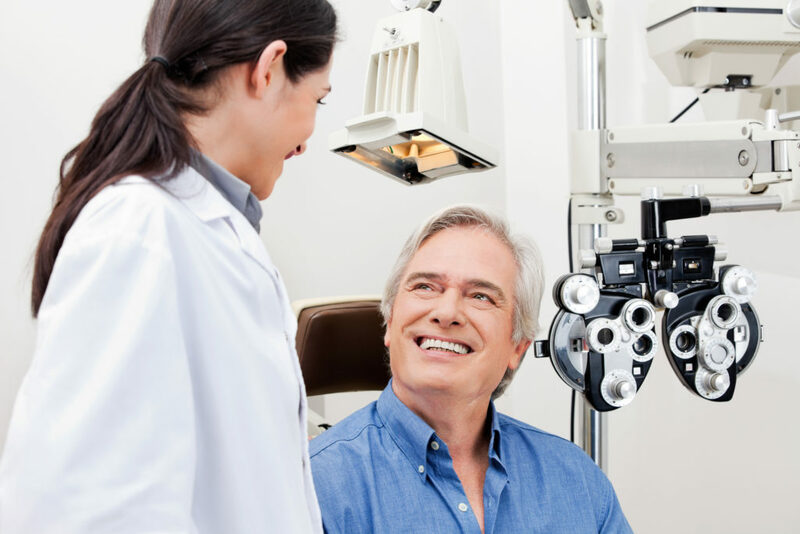 Ongoing care costs typically range from $300 to $500 per year, which may cover the checkup, replacement lenses as necessary, and other lens care solutions. While there are significant short-term benefits for both children and adults in managing myopia or astigmatism, there are also significant risks and adverse effects that have been reported with this form of treatment. The most serious risk involves wearing contact lenses overnight, which increases the risk of hypoxia in the eyes; this may lead to corneal swelling and, over time, clouding. However, the problems associated with hard contact lenses have mostly been eliminated thanks to advances in materials, and wearing them overnight actually reduces the number of hours they may be worn during a day. 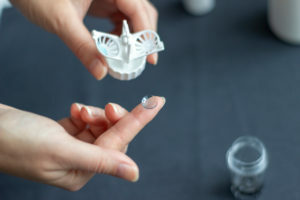 Although the FDA only approves the most gas-permeable contact lenses for orthokeratology, these are hard contact lenses that are not as gas-permeable as daily wear soft contact lenses. Every year, 1 million Americans go to the doctor because of an eye infection of some kind, and wearing orthokeratology lenses has been associated with a higher risk of eye infections, particularly microbial or bacterial keratitis. This risk is especially concerning in children and young adults, who have more sensitive eyes, but are less able to maintain good hygiene for their hands and contact lenses without supervision or help. Orthokeratology is considered more dangerous than wearing glasses or soft, daily wear contact lenses. While ophthalmologists in the United States will still prescribe orthokeratology to their patients, and the FDA has found that appropriate hygiene greatly reduces the risk of infection, the risk is high enough that the Canadian Ophthalmological Society (COS) does not endorse the process. To make sure that orthokeratology is safe, follow your eye doctor’s guidance on keeping the lenses clean, go to regular checkups, and seek treatment for any changes in your vision or eye health before they become serious problems. 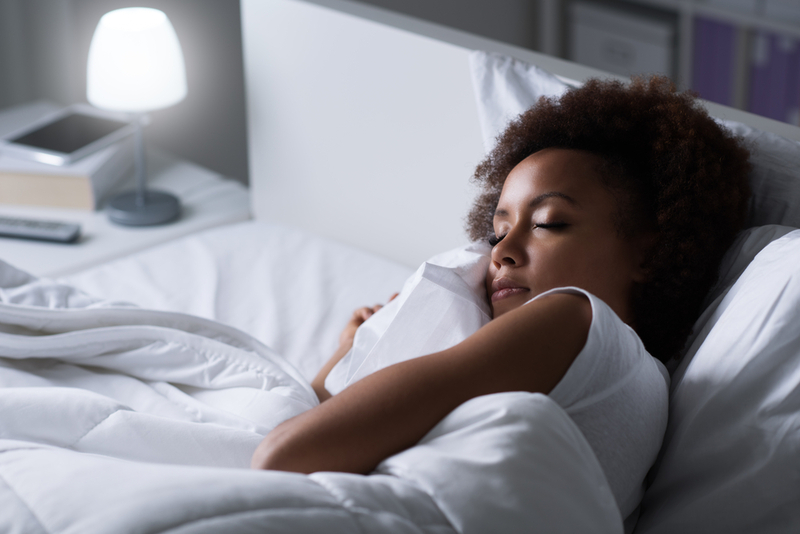 A scientific review of 170 publications found that the risk of overnight orthokeratology leading to microbial keratitis was similar to the risk of wearing other kinds of contact lenses overnight, including more gas-permeable soft lenses. "Because there is concern about the safety and efficacy of orthokeratology, there are some myths associated with the process. During your appointment, your ophthalmologist can explain in more detail, but here are some common myths about safety information related to orthokeratology:"
MYTH: Corneal tissue gets squished. For those who do not fully understand the orthokeratology process, it may be assumed that when the lenses are placed over the eyes to flatten the cornea, the epithelial cells of the cornea are pushed to the periphery, which may damage the eye. What actually occurs is that hydraulic forces beneath the contact lens, involving the eye’s natural fluids, help to reshape the cornea since the upper part over the pupil is thinner than the surrounding areas. Additionally, the reshaping is temporary. The cornea will return to its original shape if you stop wearing the lenses. MYTH: Fittings are too complicated. Fitting your eyes for special contact lenses is simple, with a first-time success rate of 75 percent or higher. Diagnostic fitting using a wavefront device is the most accurate, creating a map of the surface of your eye, which will look like a topographical map of mountains. This allows for customized design. While the process may take longer than with traditional contact lenses, it is safe and effective. MYTH: Infection is almost certain. There is a risk of infection with orthokeratology lenses, and this can be especially frightening for parents who want to treat their child’s myopia. However, hypoxia in the eyes that can lead to corneal swelling is also a risk with hard contacts more than soft contacts, and long-term changes to the cornea can lead to damage. New materials have led to improved gas permeability, and proper care of the lenses reduces the risk of infection. Essentially, regular wear of standard soft contact lenses carries a similar risk. MYTH: Since it isn’t permanent, it is a waste of time. For many people, braces on their teeth are not a permanent solution, and many people get braces again as adults. This is a normal part of the growing process for many. While orthokeratology’s changes are not as long-lasting as braces on teeth, the appeal of clear daytime vision without undergoing any surgery, no matter how minor, is of great benefit to many people. If you have myopia, astigmatism, or are just curious about your nonsurgical eye treatment options, an ophthalmologist can help you understand the process of orthokeratology better. Ortho-K. American Optometric Association (AOA). Ortho-K and Corneal Refractive Therapy: Overnight Contacts to Correct Myopia. (September 2016). All About Vision. Overnight Orthokeratology: Technology, Efficiency, Safety, and Myopia Control. Journal of Ophthalmology. What is Orthokeratology? (September 13, 2018). American Academy of Ophthalmology (AAO). The Role of Orthokeratology in Myopia Control: A Review. (July 2018). Eye & Contact Lens: Science and Clinical Practice. Frequently Asked Questions. American Academy of Orthokeratology and Myopia Control (AAOMC). Topic Overview. (December 3, 2017). My Health Alberta. Orthokeratology & Myopia. Canadian Ophthalmological Society (COS). The Safety of Orthokeratology – A Systematic Review. (January 2016). Eye & Contact Lens: Science and Clinical Practice. 4 Myths of Orthokeratology: Fiction and Fact. (July 10, 2018). New Grad Optometry.